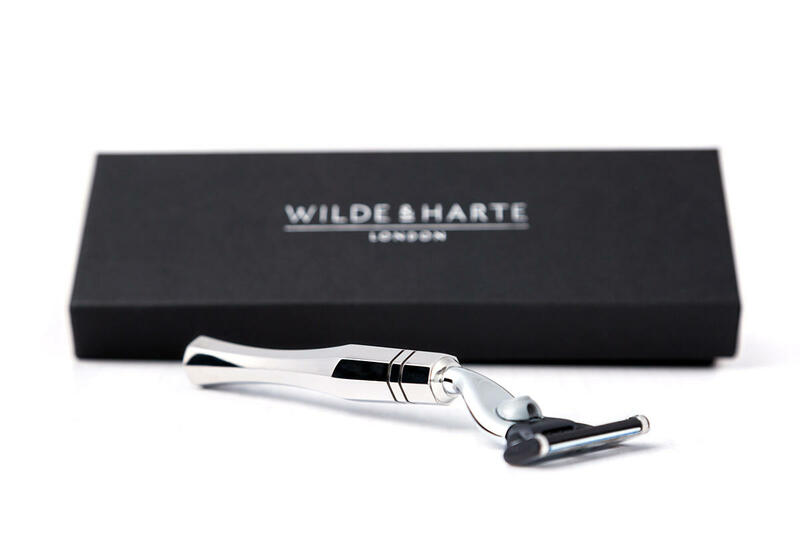 Wilde & Harte draw on an extensive knowledge of British men’s style and of the timeless quality which identifies a unique luxury British brand. Our inspiration is derived from contemporary and classic design, coupled with a passion for creating exquisite mens grooming products of the highest quality. Each luxury grooming product is manufactured from stainless steel and hand finished at the home of the British steel industry in Sheffield before being despatched to our London HQ for distribution. The luxury brand features three British designed Luxury Grooming Collections, each inspired by the architecture, styles and the splendour of iconic London Houses and Palaces. The Eltham Collection is traditional in idenity and highly influenced by Art Deco geometric form. This style continues to inspire leading designers in luxury fashions, jewelry, and accessories to this day. Drawing upon stylish contemporary British design and fine craftsmanship, The Apsley Collection offers exquisite attention to detail through the use of a unique asymmetrical design. Inspired by understated simplicity and minimal detailing, The Osterley Collection presents itself as a beautifully elegant luxury Grooming Collection. Our shaving products make a perfect birthday or anniversary gift, Christmas present, Father's Day present or simply a striking addition to a gentleman's wash bag. Each grooming gift is presented in a premium branded gift box. Follow us on Facebook and Twitter for information about new products and seasonal offers.